The parathyroid is encapsuled by a well-developed layer of connective tissue (capsula parathyroidea). 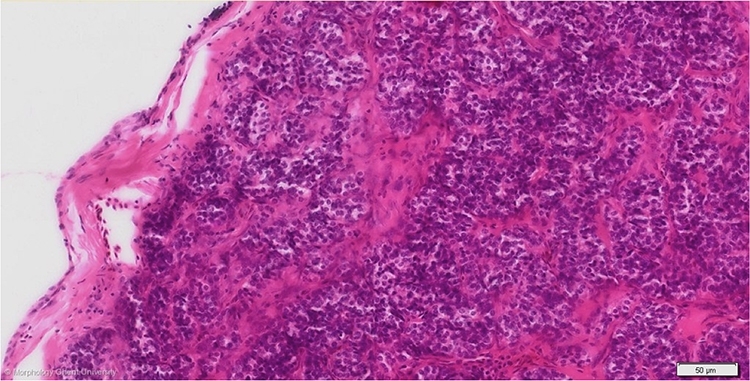 The parenchyma consists of cords or groups of epithelial chief cells, separated by strands of connective tissue. Numerous capillaries are present.